Liberals are suddenly tearing up for LK Advani. 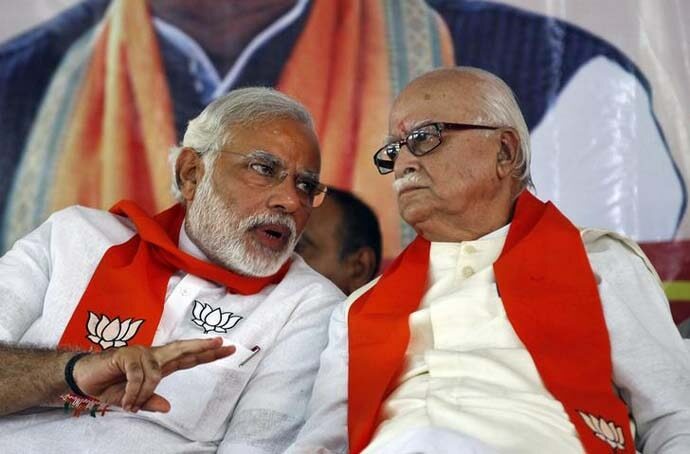 Their lamentation shows how hollow and hypocritical they are, for Advani started it all. Riots, curfew, Army flag marches, newspaper headlines screaming of the killing of innocents, smoke billowing in the distance. That winter was scorching for hearts, minds and souls. The clouds of hate, it seemed, would never lift. Qasam Ram ki khaate hain, Mandir wahin banayenge. Slogans blared on TV, radio and on newspaper pages. 'Jai Shri Ram' — till then, associated with a smiling Dara Singh who played Hanuman in Ramayana on Doordarshan — suddenly became the war cry of a mob, seething with a murderous rage. December-January of 1992-93 scarred an entire generation. As an 11-year-old, growing up in a communally sensitive Aligarh in Uttar Pradesh, I was made conscious of my Muslim identity then. At an age when I was just starting to make sense of the world around me, I saw the country turn into a communal cauldron. Everything — every idea, every social bond and every relation — appeared to be crumbling under the weight of the communal frenzy. The Rath had turned into the wrath of human madness. The charioteer could smell power and victory in the blood that the Rath left in its wake. With every passing kilometre, khoon khaul raha tha, khoon beh bhi raha tha. Now, in the winter of his life, when the charioteer has been left out in the cold by his party, he is warming up to the idea of the edifice of democracy. The principles of the Constitution — which, to my mind, he only shredded bit by bit in his lust for power — suddenly knock on his heavy heart? Remember, he cast the first seeming stone on this edifice. His ‘wrath’ yatra tore India apart, the wounds of which still exist, the scars that refuse to go away. That was the first and the most brutal assault on the social fabric and secularism in independent India. Oh, the irony! He is crying today over the same edifice that he defaced permanently. And oh, the hypocrisy! The self-proclaimed liberals and secularists are crying that the old man has been left crying by his parivaar. Those shedding tears for the charioteer are worse than the man himself. Just because he spoke to them softly, apparently entertained them in the office he later held, shed some tears over the actions of the murderous mobs that he had unleashed on the soul of India — laughable and tragic at the same time. All of you out there feeling for the old man — you are trying to whitewash the worst chapter in India's history. To my mind, he had sown the seeds of hatred that his successors are harvesting today. The mob that he raised in India has grown in proportion, like its impunity under the new dispensation that is far more blatant and unapologetic. The mob is now drunk on the new Hindu Hriday Samrat. And this mob will now not shed tears for the original charioteer. And what has the "wise old man" done in the last five years? His conscience didn't prick him once when innocent Muslims got lynched at the hands of cow vigilantes; when ministers garlanded killers; when his parivaar spewed venom unabated; when students and scholars were being branded as 'anti-nationals'. The original blogger could not get his wringing fingers to move. Now, when the parivaar has firmly left behind the one he helped create, he is suddenly discovering principles and ethics. Remember, he is the one who laid the road that the new Hindu Hriday Samrat took to power. And today, we are expected to buy these crocodile tears — just because he wasn't 'this' bad. He was not 'this' hawkish. He got tamed by power. So, give me a break. Those crying for him today are exposing their own hypocrisy and dishonesty. Public memory may pale over time, but the scars remain. Any liberal whitewashing will not cleanse him of his past that led the country to its present. 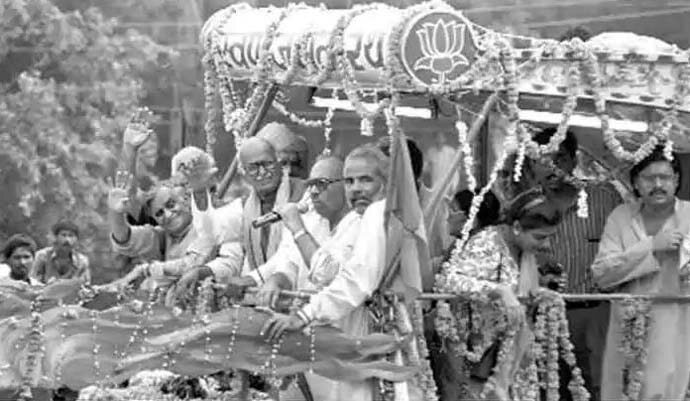 To my mind, LK Advani will always remain the original sinner. Modi is just Advani on steroids. 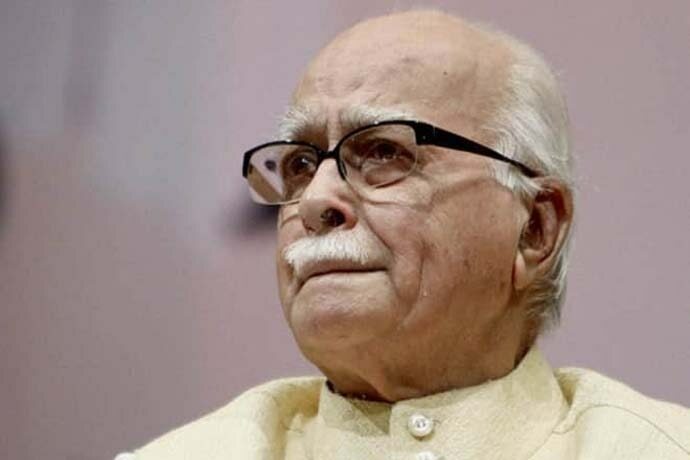 Mr Advani, you have neither my tears, nor my sympathy. Mr Advani, I am sure you believe in Karma as a devout Hindu. This is just that. Mohd Asim is a Delhi-based journalist.